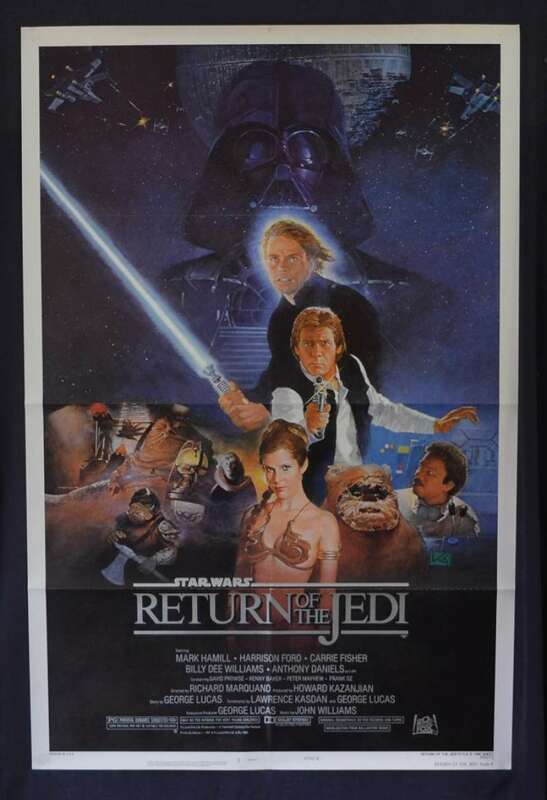 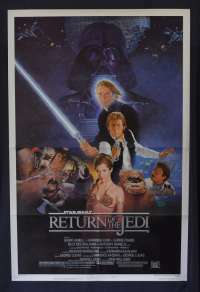 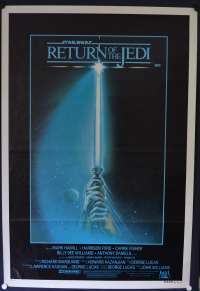 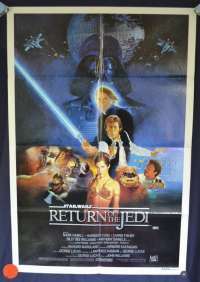 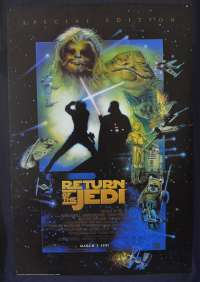 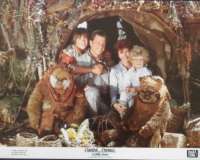 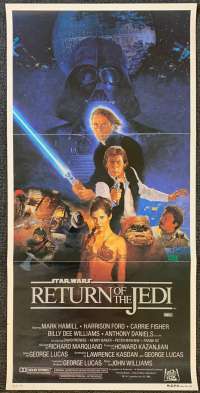 Return of the Jedi (also known as Star Wars: Episode VI – Return of the Jedi) is a 1983 American space film directed by Richard Marquand. 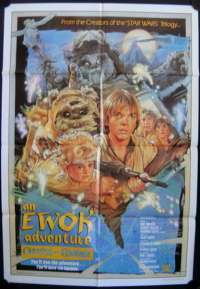 The screenplay was written by Lawrence Kasdan and George Lucas from a story by Lucas, who was also the executive producer. 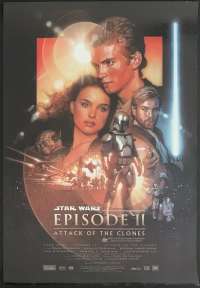 It was the first film to use THX technology. 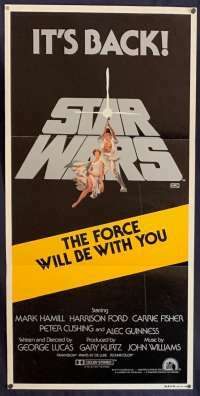 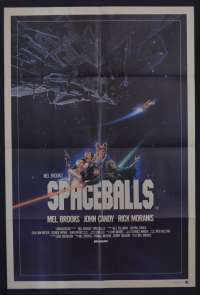 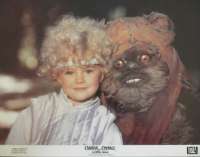 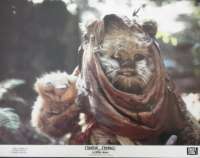 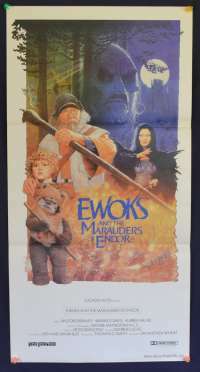 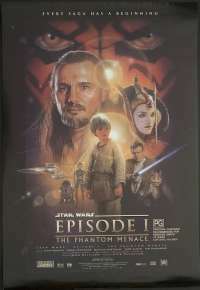 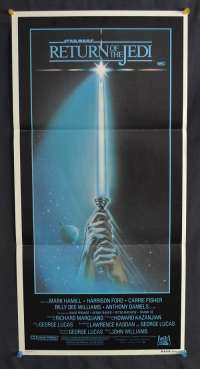 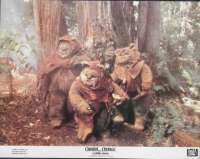 The film was produced by Howard Kazanjian for Lucasfilm Ltd. 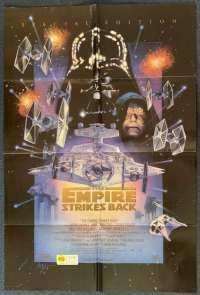 The film stars Mark Hamill, Harrison Ford, Carrie Fisher, Billy Dee Williams, Anthony Daniels, David Prowse, Kenny Baker, Peter Mayhew and Frank Oz. 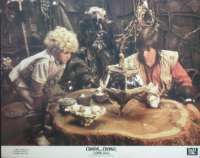 David Lynch and David Cronenberg were considered to direct the project before Marquand signed on as director. 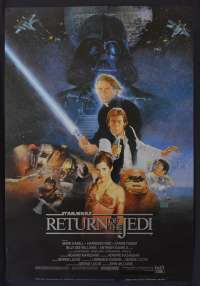 The production team relied on Lucas' storyboards during pre-production. 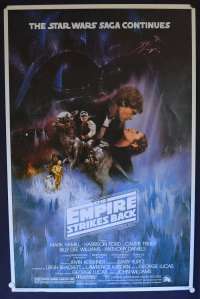 Filming took place in England, California, and Arizona from January to March 1982. 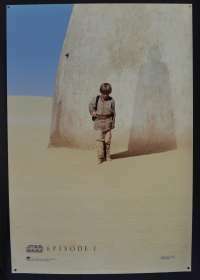 Strict secrecy surrounded the production and the film used the working title Blue Harvest to prevent price gouging. 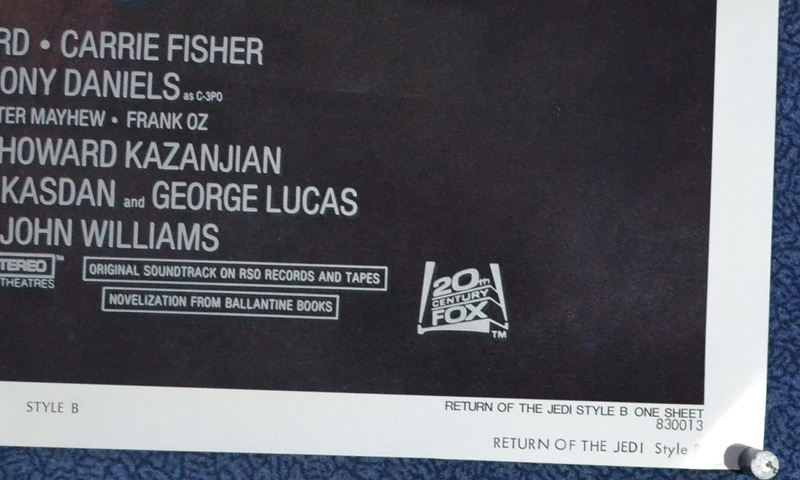 Folds and Creases: Folded as issued to cinemas however this has been stored flat and thus will be sent in a tube.